A two and one half story Eastlake Victorian structure with twin turrets stood on this site. Built by Alfred Mayer. Served for many years as the city's main hotel and renowned throughout state for its French cuisine. Location. 31° 7.68′ N, 92° 3.919′ W. Marker is in Marksville, Louisiana, in Avoyelles Parish. Marker is on North Main Street (State Highway 107/115) north of East Ogden Street, on the right when traveling north. Touch for map. Marker is at or near this postal address: 422 N Main St, Marksville LA 71351, United States of America. Touch for directions. 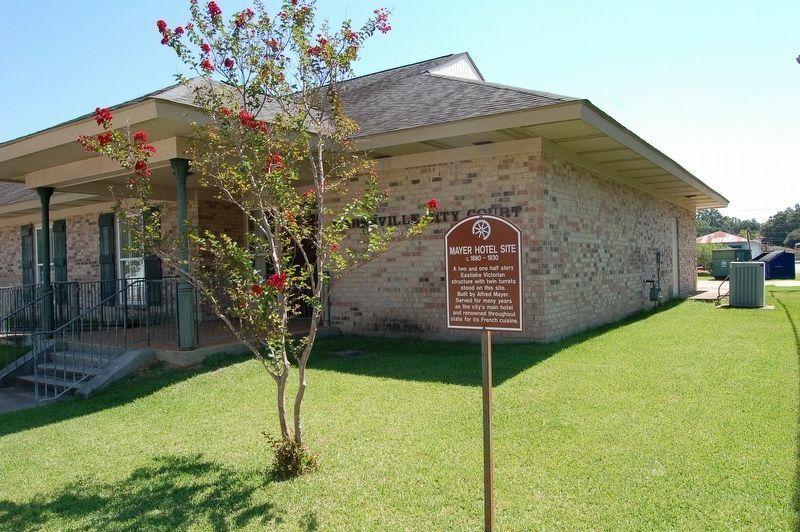 marker); J. Horace Ducote Law Office (within shouting distance of this marker); Laborde Building (about 300 feet away, measured in a direct line); Frank Hotel Site (about 300 feet away); The First Bowie Knife (about 300 feet away). Touch for a list and map of all markers in Marksville. More. 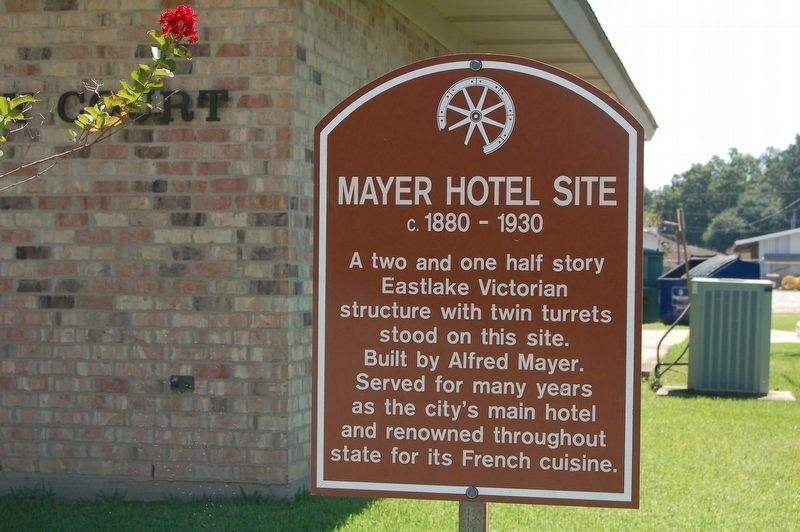 Search the internet for Mayer Hotel Site. Credits. This page was last revised on October 25, 2016. This page originally submitted on October 24, 2016. This page has been viewed 221 times since then and 5 times this year. Photos: 1, 2. submitted on October 24, 2016. • Bernard Fisher was the editor who published this page.